You are here: Home / Albemarle / Correcting Data from the May Note. Darn it. This month, I’m embracing fallibility. Bad things can happen when I don’t listen to the editors. In this case, that “bad thing” is confusion amongst readers. If you’re interested in the Note, please subscribe here. Also note that were I to run the following numbers today, they would be slightly different as data tends to get input into the Charlottesville MLS days and sometimes weeks after closings occur. That said, these numbers are reasonable enough to see trends. If you’re curious about what’s happening in your neighborhood, or if you’re thinking about buying and have questions, please ask me. 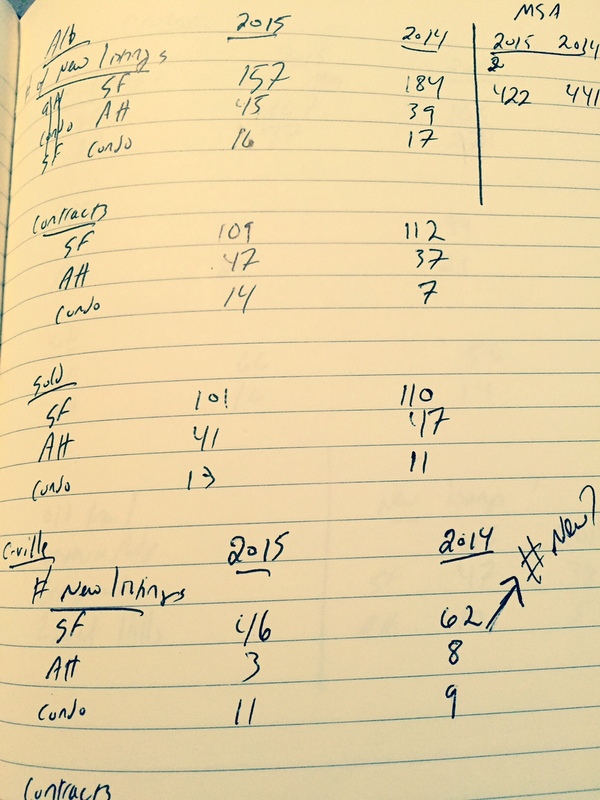 Next month’s note is going to be a bit more data-heavy as I dig into the mid-year numbers. (edit: true. The Mid-Year note is going to be a mix of my data and Nest’s Mid-Year Market Report). Total: 218 vs. 240 — 9% up; optimism by late-to-Spring market sellers? (correction – I got them backwards! 9% DROP – less new inventory this May versus last May. I should have caught this without editors’ — or awesome readers — help as I’ve been saying and feeling all year that it seems there’s been less new and good inventory). Those many who wrote pointing out my mistake: thank you. Thank you for passing the reading test that I clearly so deliberately put together to test you to see if anyone was reading. I’ve made a donation to the Blue Ridge Area Food Bank as thanks.